LinksManagement is not an SEO company; we’re a link building company. 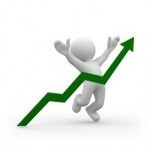 It means that the results you can get using our backlinks mostly depend on you. 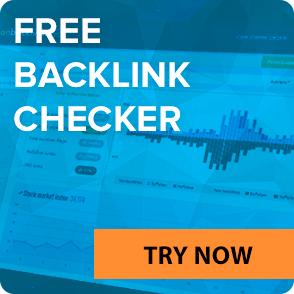 We have conducted the research among our clients that achieve the Top 10 ranking on Google using our backlinks and make a list of recommendations. If you follow the below-listed rules for on-page and off-page SEO, you will 100% get on Google Top 10 within 6 months. Note: Please, follow all rules to get effective results. You won’t be able to achieve the Top 10 rankings regardless of whatever you do and how many high DA backlinks you acquire if you don’t follow the below given SEO rules. So follow the below listed simple off-page & on-page SEO rules and you’ll succeed. You must build links slowly, not more than 5 links a day (our gradual link purchase cart allows you to set up automatic, natural link purchase according to your set link building schedule). You must build links for always different, unique anchor texts, i.e. 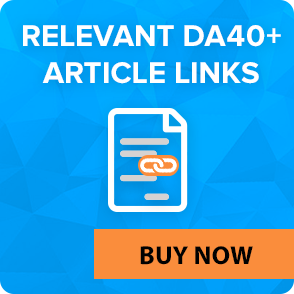 each backlink must contain a unique anchor text. You must target multiple keywords in your link building campaign simultaneously – minimum 5 different keyword phrases (per website). 25% of your anchor texts must include your website URL. 25% of your anchor texts must include your brand name or domain name of your website. You must provide surrounding content for each backlink built with us. Note: up to 80% of your links must point to the homepage and minimum 20% – to the inner pages of your website. Minimum 65% of your links must come from websites hosted in the same country where you want to rank well, for example, from the USA. 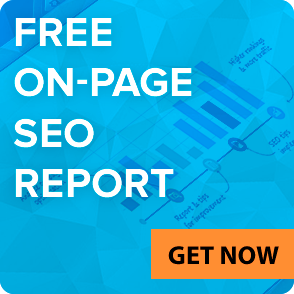 Your link building campaign must last minimum 6 months. Learn why. All of the above link building rules are necessary for your link building campaign to look natural to Google as well as to be effective. Soon we’ll develop a link building plan creation tool that will help you follow all of these rules automatically. 90% of content on your website must be unique. Any web pages with duplicated content must either be rewritten or hidden from the indexation using a robots.txt file. Use either this free content duplicate checker tool or Copyscape to find and get rid of all the duplicate content on your website. You must have a sitemap.xml on your website. Your website must have minimum 50 web pages with unique content (there must be minimum 300 of words of unique content on each of those web pages). All of these web pages must be successfully indexed by Google and must be available in Google cache. You must optimize your targeted web pages (pages, for which you build links) for your targeted keywords within the first 3 months of your link building campaign. I.e. each targeted web page must contain your targeted keyword in title, description, H1 and H2 tags, be included within the page content and be highlighted with bold font in the content. Your web pages must NOT be over-optimized with keywords, i.e. your keywords density must be not more than 3,6%. Your website must not use cloaking, sneaky redirects, hidden text or links, doorway pages; it must not be hacked or contain any viruses or malware. Your website must be available online 24 hours a day. If you follow all of the above rules, we guarantee that your website will NOT be penalized or banned by Google in any way. We know this because 100% of our customers, who follow the above rules, successfully get in the Top 10 (and Top 1) on Google for a lot of their keywords (see how Jovan reached the Google Top 5 in 3 months with just 27 backlinks and learn how Sean achieved the Google Top 10 in 1 month for multiple keywords with just 4 backlinks). And moreover, no one from our customers, who follow the above rules, has ever got any kind of Google penalties for 4 years of our work. That’s many hundreds of people. That’s why we’re so sure in your success. Q. Doesn’t Google forbid to buy links? It does. How do you think, why? Of course, simply because they work and influence on its search results. Q. Why is your list of rules/terms so long and maybe even complicated for SEO newbies? Sorry, that’s how Google works nowadays. If you don’t follow every of the above listed rules, you may not successfully achieve the Top 10 rankings on Google. If you, however, do follow each of them, we guarantee you’ll succeed. Q. Why should my link building campaign last minimum 6 months? SEO is a long-term process. You can’t place links today and expect to have the result tomorrow. Mostly, it will take up to 6 months for Weight to flow to your website.